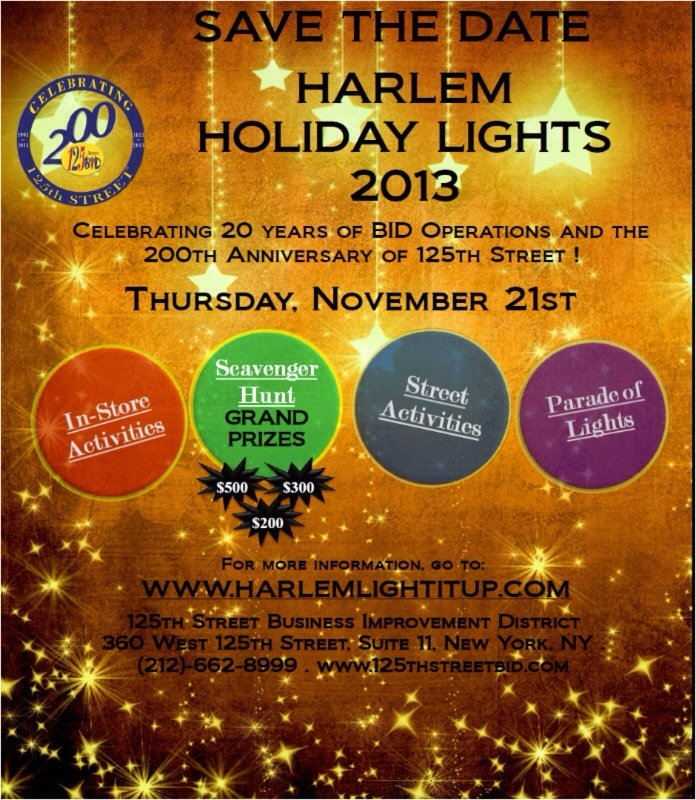 Attend Harlem Holiday Lights November 21 | HarlemGal Inc. This entry was posted in 125th Street, business, Community, entertainment, Events, food, Free!, Harlem, Harlem bloggers, Harlem blogs, Harlem businesses, HarlemGal and tagged 125th street, 125th Street Business Improvement District, Amalgamated Bank, Applebee’s, Carver Bank, Checkers, Duane Reade, ECDO, Gem Pawnbrokers, Harlem, Harlem bloggers, Harlem Blogs, Harlem Holiday Lights, harlem holiday lights on 125, Harlem Shake, HarlemGal, Levels Barbershop, Melba’s 125, Popular Community Bank, Red Lobster, Rite-Check Checking, Sandra Bookman, Studio Museum in Harlem, TD Bank, The Body Shop, Welcome To Harlem.. Bookmark the permalink. Thanks Harlem Gal! We greatly appreciated your support and hope you were able to attend. Happy Holidays !